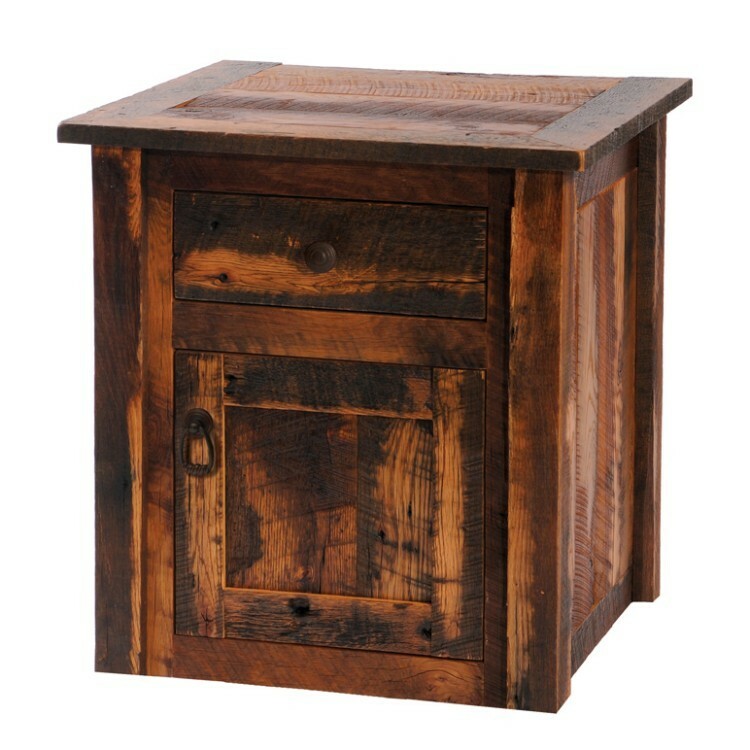 This rustic barn wood enclosed end table is made from reclaimed Red Oak planks from 1800's tobacco barns. 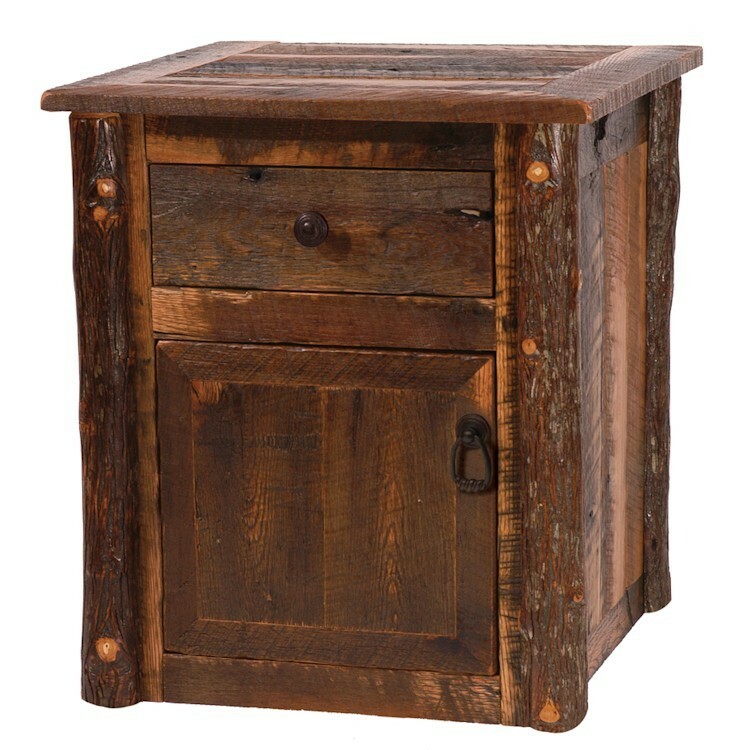 Each individually hand crafted Barn Wood Enclosed End Table features a dull catalyzed lacquer finish that is extra durable. 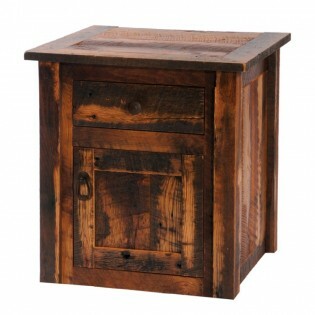 This Barn Wood Enclosed End Table is made from reclaimed Red Oak planks from 1800's tobacco barns. Each individually hand crafted piece features barn wood or hickory log legs and a dull catalyzed lacquer finish that is extra durable and retains the wood's natural character.